Retail store owners know that the core of their business is getting people excited and having them come back from more. That means, they want to have ideas for digital signage with new items that are always in stock to sell. In order to do so, there is a long process that goes with keeping a fresh inventory, including ordering, stocking and, of course, advertising the new products. 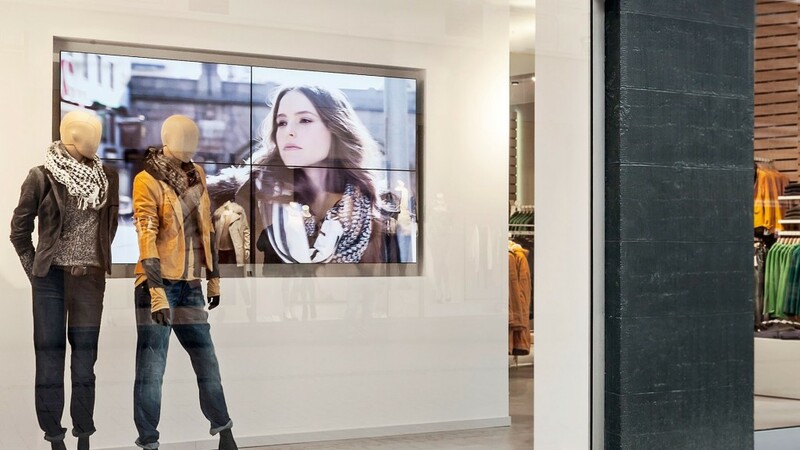 Luckily, for the tech savvy retail managers, digital signage makes it a lot easier to change your displays and promote new items in the store. In addition, retail personnel do not have to deal with putting up cardboard business signs or posters (at least, not as much). Now, digital signage ideas can be uploaded rather quickly by the store’s graphic artist. Think about it, if a corporate company rolls out a new campaign for a given product, they can split test it among different stores and make changes instantly. Digital signage offers business owners the luxury of flexibility that is not available with traditional print advertising materials. Every day is a new day with digital signage. You can develop new ways to deliver content, change up your video content or launch a new campaign as soon as the mood strikes. Digital signage allows for faster transitions between ad campaigns and quick changes when problems arise. Why would you want to forego those benefits in favor of the less-advantageous print advertisements? Want some great digital signage ideas? So far, the coolest uses, we have seen, include facts about the brand, new promotions, items on sale or store directory listings. When used appropriately, it can be a nice support to sales representatives or resource to customers. Let us explore how you can use them too. Do you have a brand loyalty program in place? Is there a new hashtag that your store uses on Instagram? Is there any upcoming events or promotions you would like to promote? This is a perfect time to spread the word with proper signage. Most of the time, store owners put inventory on sale in order to sell it quickly. With the use of a digital sign, customers can quickly see what is available for sale right now. And of course, who doesn’t love a good deal? In larger retail locations, it can be tough finding the right section you need. Digital signage can often provide helpful assistance to direct customers to the right departments. That means less time searching and more time buying. While this may not be a useful strategy for a carpet cleaning business, it can certainly make a huge difference in revenue for retail stores in particular. Now that technology and business have both evolved, there are even companies offering free digital signage. I know you are thinking that this cannot be real. But it really is! Using companies like DigitalSignage, you can create you own digital branding images or digital marketing materials and push it to any device in your own store. All of this can be done at absolutely zero cost to you and your business. This new wave of ways to create digital signage for free is changing the face of in-store marketing and advertising. If you want to try bringing digital in-store advertising to your business, try it out for free first. Prices for digital signage displays often vary widely. However, the flexibility of having digital displays to communicate and interact with your customers is certainly something to look into. And, hopefully, you have a few good ideas of digital signage messages once your marketing planning is done and you are ready to roll out your new digital ads.